With so many interesting patterns and fabrics available, it can be difficult to whittle down the options to individual sewing projects. 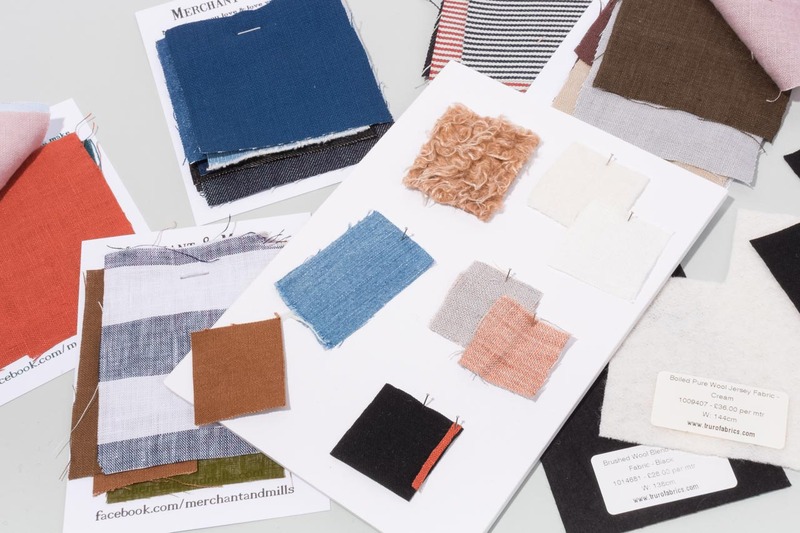 Fashion designers often use mood boards to overcome this problem and create full collections of pieces around a theme. 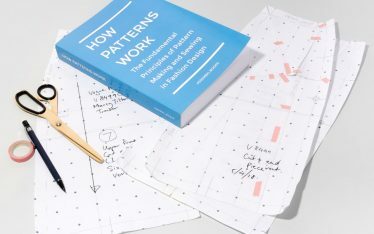 And, increasingly, disciplined sewers are also using this technique to create wardrobe plans that help them plan out their projects in advance. 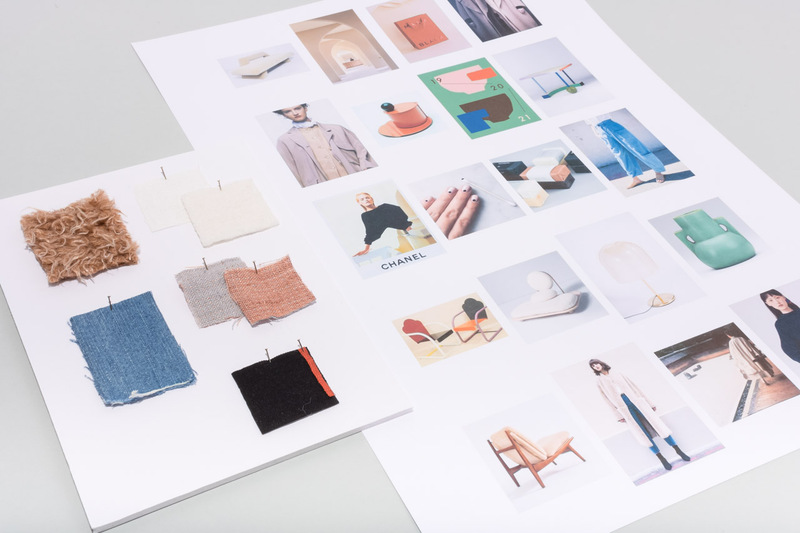 In this new section of the Assembil blog, the aim is to create mini collections of pieces centred around a mood board of reference images. 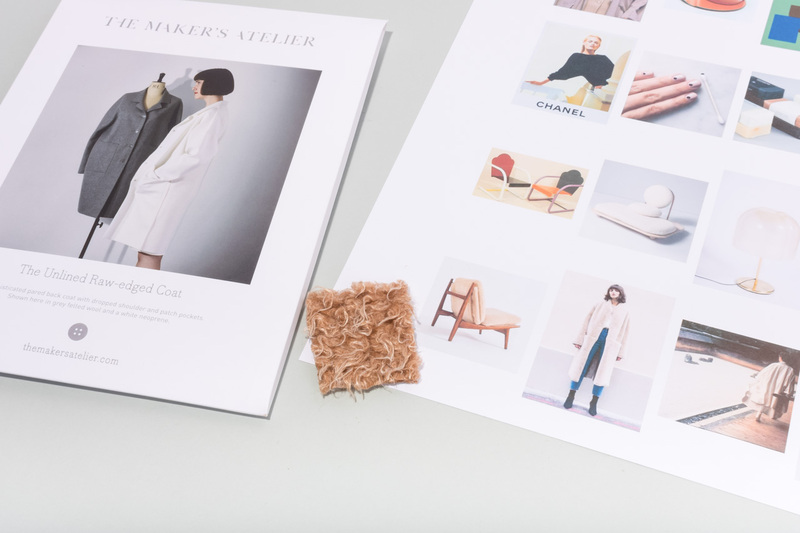 Following a process that is similar to that of a fashion designer, we’ll talk about how you can pick up the colours and textures of images and themes that have crept into your psyche, and translate them into small groups of interchangeable pieces. 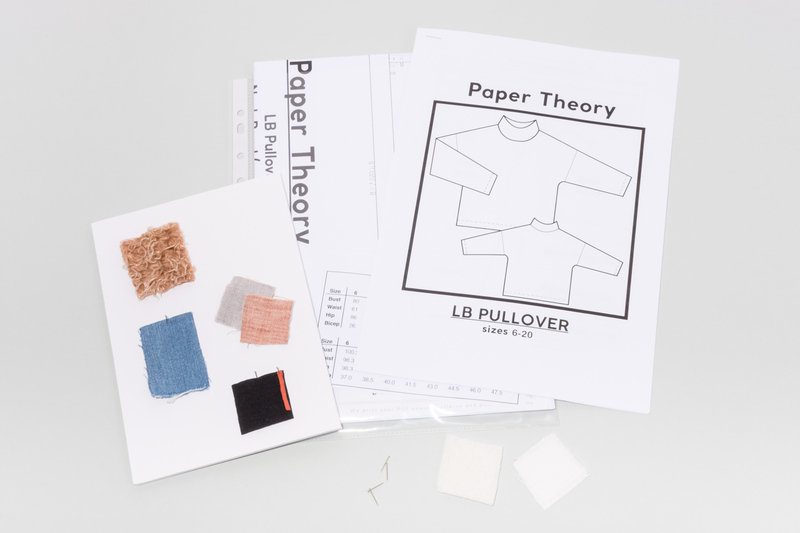 By creating these projects that are not as big as a full collection, but more fleshed out than a single garment project, this is an ideal way to build that fashion designer mindset without the cost of studying. Over time, the idea is that these mini collections will slowly build into a library of tried and tested patterns where silhouettes are reused in new fabrics with updated details. 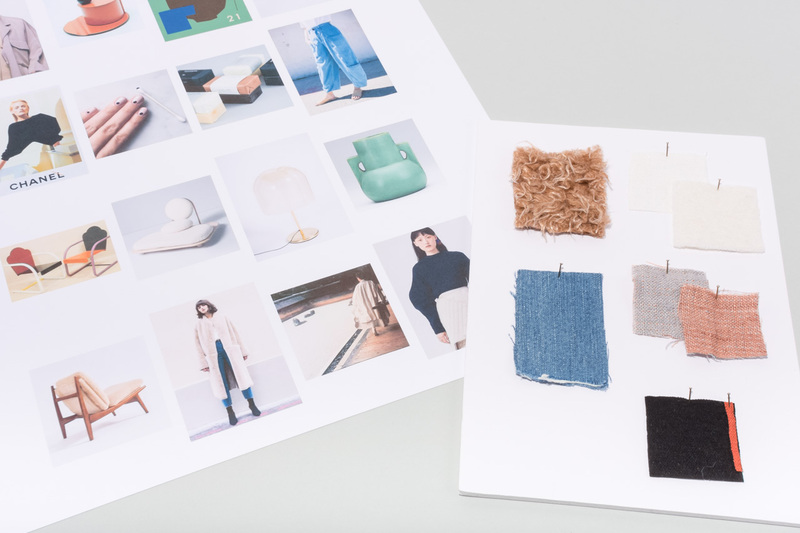 Again, this is similar to the way that a fashion designer works, refreshing “best sellers” in new colours or fabrics to give new and old customers an update. Everyone has their own individual approach to design, and you don’t have to follow the same process each time. You may start by collecting images or have seen a fabric that sparked an idea. 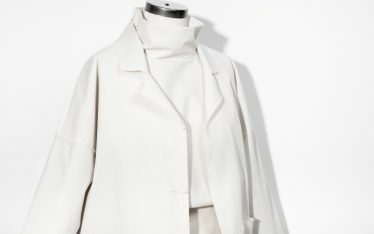 If you are a professional fashion designer the basis for a collection might be something quite intangible and cerebral. Or you may simply want to take a lighter, more spontaneous approach if you just want to make yourself some nice clothes to wear. If you have a habit of saving reference images, sometimes an interesting test is to look over what you have saved recently to see what your subconscious is into at the moment. 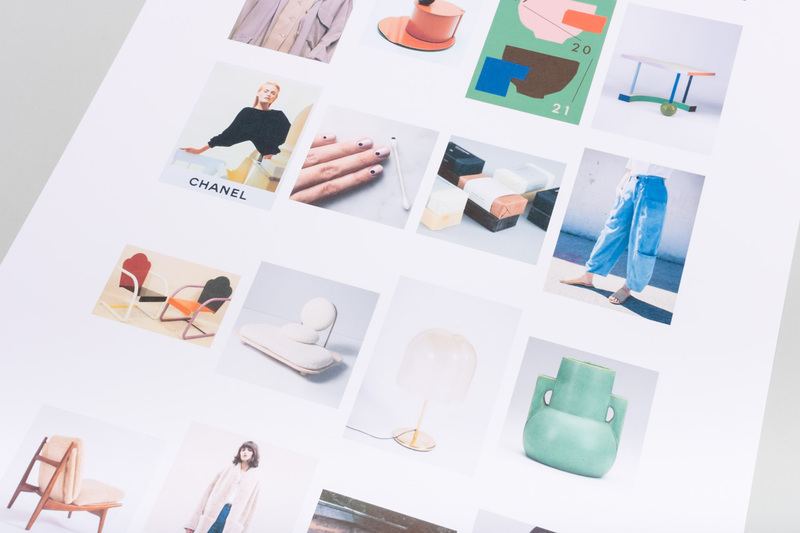 If you use Pinterest, or save reference images into collections on Instagram, then you may find certain personal trends emerging. Maybe you’re really into a certain shade of green, or have been hoarding swatches of print fabrics. A simple next step is to just group some of these things together in a way that makes a pleasing group. It doesn’t all have to be matchy – some off colours or unusual references can be used later to add interest. You also don’t have to have clothes on your mood board. If you are sewing for yourself you may want to add some images as pattern examples, but references for colours, textures and shapes can come from more abstract sources. 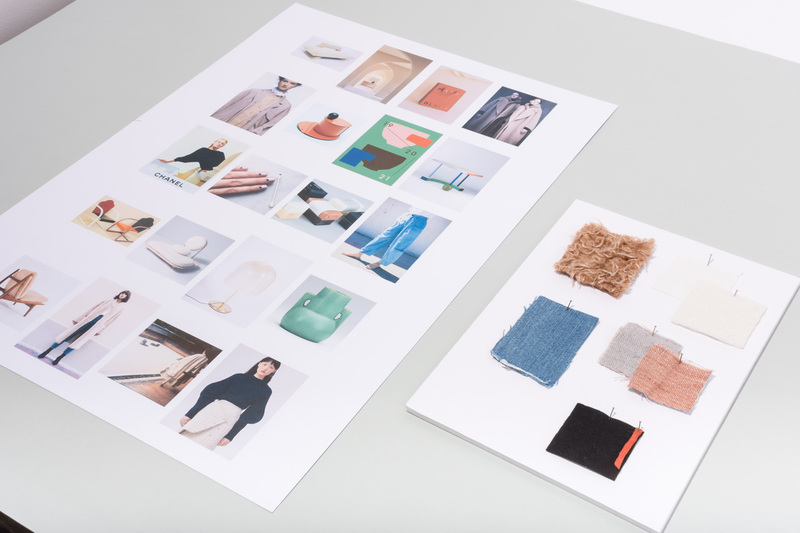 In this example, you can see how the mood board has been created with a mixture of images, some clothes, but also furniture and other objects. You can then pick out colours and textures that you want to use in your designs. Or where there are unusual hints of colours you could also pick these up in accessories, make-up, shoes, etc. A next step can be to translate these colours and textures into a swatch board of fabrics that will reflect the same influences. 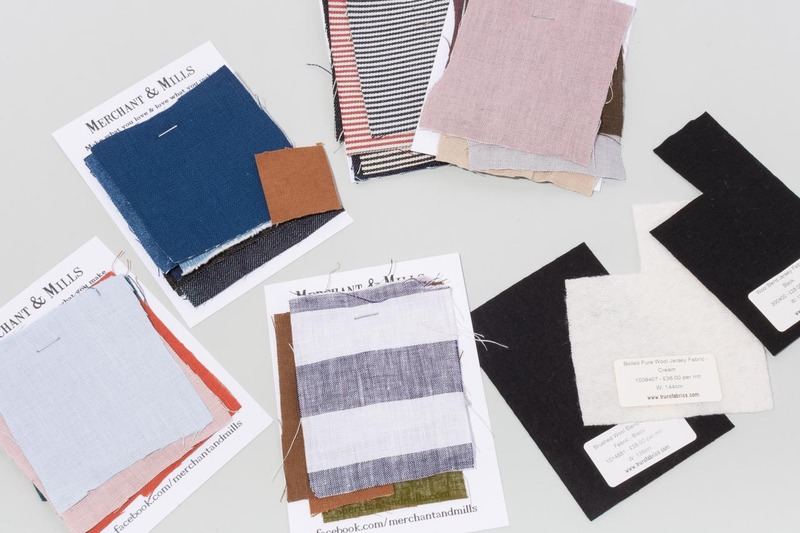 You don’t have to buy full pieces of fabric, instead you could request samples from fabric shops and place the swatches together to see what combinations work well together. 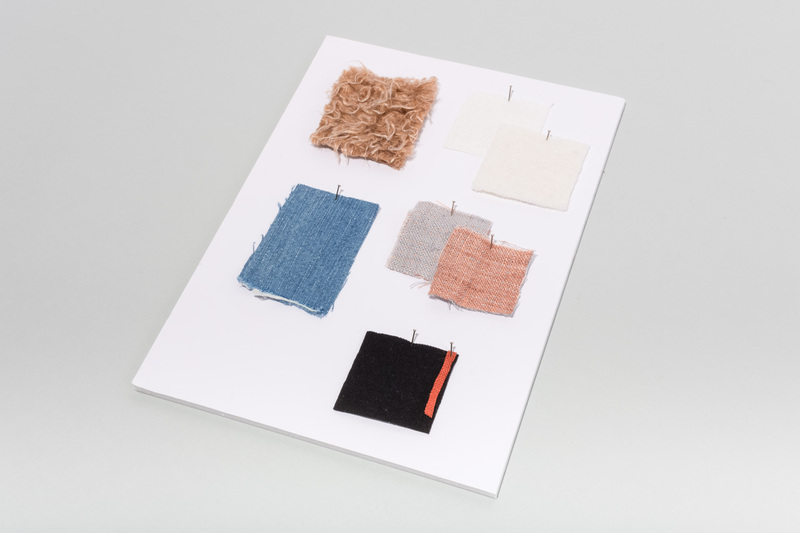 You can see how in this case, some of the textures on the mood board have been picked out in fabrics. 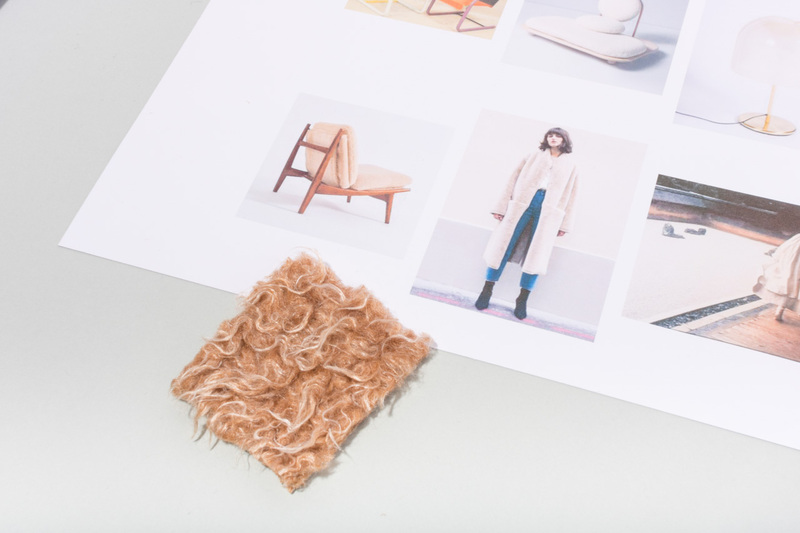 For example, the woolly and furry textures of the chairs would look great in a coat. You can then build upon this idea to start to consider what silhouettes or patterns you could possibly use. If you are a fashion designer then this would be the stage where you would be sketching shapes to develop with a pattern maker, or considering patterns already drafted for previous seasons. But in this case, we’re going to use commercial sewing patterns from different companies to create our mini collections instead. 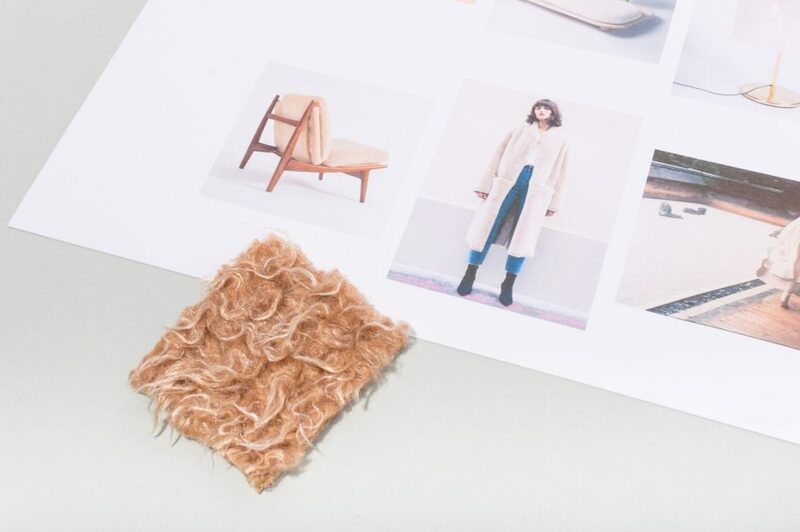 For example, you can see how the faux wool fabric might look great in the coat pattern from Maker’s Atelier. 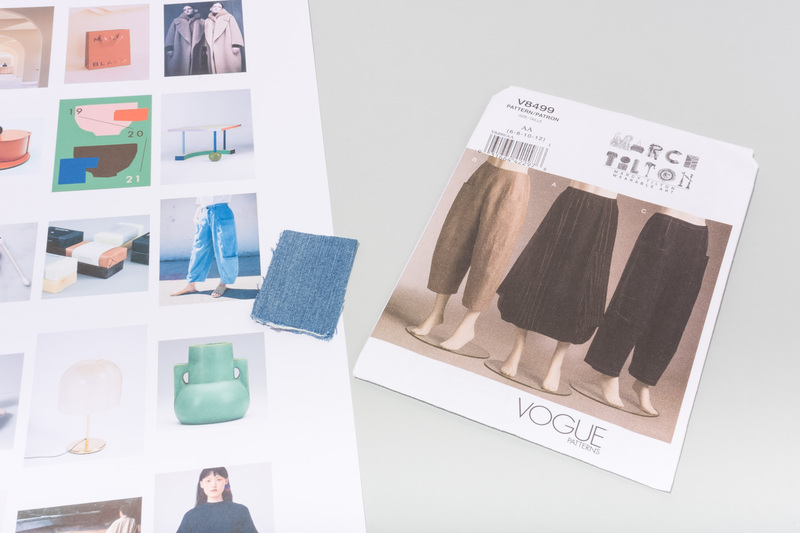 Or the shape of the Vogue pattern V8499 might look great in a blue denim, like the reference image on the mood board. Once you have an idea of the patterns you want to try and the fabrics that you’re thinking of then you can get started. You don’t have to lock everything down at this stage. You can now start creating toiles of the patterns, experimenting with finishes, testing thread colours, etc. And if anything doesn’t work out, you can always go back to your mood board to get a new idea. So it will be on this mood board and collection of fabric swatches, that we will now start to build out the first mini collection. These swatches are the fabrics that we will have in mind during the toile stage, and then we will have a clearer picture of what to make up for the final garments. 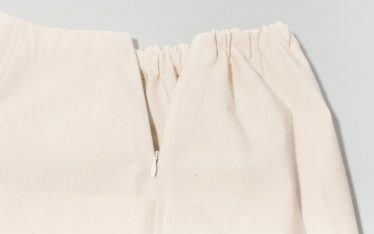 Where possible we’ve included links to the specific fabric, or at least to the supplier’s website if the exact fabric is not available online. And these are the patterns that we will toile to create the mini collection. 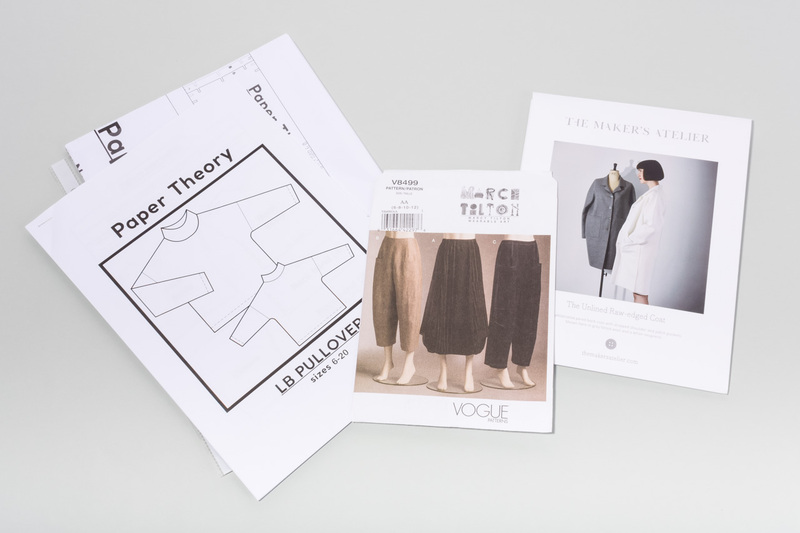 From the Vogue pattern, it is Trouser Version C that is going to be tested.